In my last post, NaNoWriMo: 4 Reasons You Should Keep Going, Even If You Won’t Win, I talked about how far behind I was in my goal of writing 50k in one month. Although I kept writing, I felt pretty certain that I would not be a NaNoWriMo winner in 2016. My good friend, Jenny Hansen, suggested doing writing sprints together. The NaNoWriMo website provided an easy, effective tool for setting up a group sprint and then adding your word count total at the end of your time. We coordinated our schedules, set up group sprints, and let our fingers fly across our keyboards. Even though we’re separated by 1500 miles and two time zones, we experienced that connection of both going for the same goal and supporting one another. Just knowing she was on the other end and expected me to get some words down motivated me to, well, get some words down. Her encouragement was awesome, but the accountability probably mattered more. Because having someone cheering for you isn’t quite like having someone on the same team with you. It’s fabulous to hear, “You can do it!” “I’m pulling for you!” “You’ve got this!” And the support of other writers on Facebook and Twitter and face-to-face absolutely helped me adopt the right attitude. But the accountability of a writing partner forced me to clear the time, open up my manuscript, and write words and pages and scenes. I was 20,000 words behind. But Jenny and I both ended up having two 5,000+ word days. And on November 30, we crossed the finish line together. That’s right, I’m a NaNoWriMo winner after all! I have a mostly completed manuscript, a NaNoWriMo winner T-shirt on its way, and some great takeaways. Including that I want to continue writing with others to increase my accountability and meet my goals. In fact, the NaNoWriMo site still has its group sprint page available, which I highly recommend. Or you could meet in person with local writers. Or set a clock and tag someone on social media. Whatever works for you. Congratulations to all the NaNoWriMo winners out there! And an especially big shout-out to Jenny Hansen for breaking the finish line ribbon with me. NaNoWriMo is short for National Novel Writing Month, a challenge across the globe for people to write a novel in the month of November. To set a specific goal, the “novel in a month” is defined as 50,000 words. I’ve participated once before, when I did not complete the goal but got a bunch of words. This year, I threw my hat in the ring again with hopes I’d make the 50,000-word mark. But I’m currently 8,300 words behind where I should be. At the rate I’m going, I will reach 50k on December 17. Realistically, I’m not going to win this thing. At the end of November, I won’t have a complete novel, I won’t get the NaNoWriMo Winner Badge, I won’t get bragging rights. Yet even though I’m usually a glass-half-full gal, when it comes to NaNoWriMo, I take a raise-your-glass-for-a-toast attitude. You’re consistently writing. Okay, maybe not every day, and maybe some days you’re happy to get 400 words. But I’m writing on my novel more often than I had been, and with greater consistency. Getting these words down has become a priority on my daily list. If NaNoWriMo helps you get back into the writing groove, it’s worth it whether you reach your 50k on time or not. You’re making progress. Saying I’m 8,300 words behind sounds bad, but saying I’ve written 18,300 words this month sounds much better. That’s 18,300 words I didn’t have when NaNoWriMo began. That kind of progress should be celebrated and continued. So what if I don’t make 50k, I will have a bunch of new words. And most of them are words I like. I bet you’ve got more words too. You’re building community. One of the perks of a group writing challenge is being able to share your experience with others. Once you tell people on Facebook or Twitter that you’re doing NaNoWriMo, you’ll find others doing it too. Then you can encourage, congratulate, and commiserate with your peers. Some will reach their goal, some will not, but we’re all in this together. You’re going to finish. The rules of NaNoWriMo are that you have until November 30, but no one’s standing there and stopping you from writing on December 1. So what if you don’t get the “win” and you finish the book a half-month or a month or even two months later — you still wrote a book! Once you get a bunch of words into a novel, hopefully you’re sucked into the story enough that you’re determined to finish that baby. I know I am. Maybe I won’t make it by the end of the month, but I’m willing to bet a bottle of wine that I finish by the end of the year. There’s still a chance I could make my 50,000 words. I’m a competitive enough person that I’m motivated to try to make up that gap. But even if I don’t, I’m personally calling this a win. NaNoWriMo has gotten me deeper into my novel, excited about my story, turning out words, and hanging out with other writers. So I’m not quitting. Welcome to Amazing Words Wednesday, the day we enter the labyrinth of language and see what we can find. Many of my fellow writers are knee-deep in their manuscripts and focused on making substantial progress this month. Why? Well, it’s November, and that means is National Novel Writing Month — better known as NaNoWriMo. (It’s also a hashtag on Twitter: #nanowrimo.) Participating writers are aiming to write 50,000 words to get a complete, or mostly complete, draft of a novel. Writing like the wind. A phrase probably from horse riders, who felt they were going really fast when they seemed to match the speed of the wind. Burning rubber. Driving your car at high speeds can result in some rubber peeling off when you turn your wheels. I tried to research just how fast you have to go to “burn rubber,” but I couldn’t find that useful piece of information. But when you burn rubber, you can feel it and smell it. Greased lightning. You might think this phrase also relates to cars, especially after the song by this name from the musical Grease (1978). However, its first use occurred in 1832, long before cars hit the road. If you grease something, it can move faster. And what’s faster than lightning? Well, greased lightning. Lickety-split. “Lickety” is not a word on its own, so where did this expression originate? It’s another one that came around in the 1830s and showed up in print in 1843. Interestingly, other formations were “lickety click,” “lickety cut,” and “lickety switch.” Who knows why “split” made its mark and left the others behind? Some suggest that the licking part is what intimates fast, maybe like that grease thing of moistening something up to make it move faster. Or perhaps it’s a rhyming thing. Like a bat out of hell. No, this one didn’t come from Meat Loaf, although his album of the same name might have upped our usage of the phrase. Bats have long been associated with the occult and evil (the original Dracula, anyone? ), and it was suggested that they came from the bowels of hell. If you were flying out of hell, you’d want to go at top speed, wouldn’t you? Well, as a matter of fact, bats can fly up to 40 miles per hour, but they can dive at up to 80 miles per hour. No wonder this phrase means fast. Writing a blue streak. “Blue streak” hails all the way back to the early 18th century. The streak likely refers to a streak of lightning. But why is the streak blue? We don’t know. Blue is sometimes used to mean obscene (e.g., “blue blazes”) and sometimes top-notch (e.g., “blue chip” stocks). So one of those might be responsible. Having studied fires for a mystery novel involving arson, I also wonder if blue here could mean especially hot. A flame that appears blue ranges between 2,600 and 3,000 degrees Fahrenheit (think Bunsen burner). Now that you’re armed with phrases meaning fast, which one are you most likely to use? Do you have others to suggest? I did a crazy thing. On November 12, I signed up for National Novel Writing Month (NaNoWriMo). Yes, I know that 11 days had already passed, and the likelihood of my actually writing 50,000 words in the remaining 19 days was low. Frankly, knowing that my kids would be out of school for a week and my family would be traveling over the holidays made that notion downright ludicrous. I had even declared that I would be in the NoNoWriMo camp–those writers who would not participate but would cheer on their fellow writers who had taken the 50k pledge plunge. But after wrangling with edits on my young adult novel, SHARING HUNTER, I realized that I do better with editing a project when I also get to let out some creative writing juices on another project. And thus, my first book in a young adult mystery series has started to take shape. And while I didn’t announce my participation, nor expect to come anywhere close to being a NaNoWriMo winner, I did log a bunch of words and get a feel for how the website and process works. 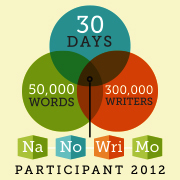 So now I’m coming clean: I was a secret NaNoWriMo participant–who missed getting the badge by 34,524 words. But guess what? That means I have 15,476 words on a novel that I started three weeks ago! And I’m better prepared to participate in that challenge next year. I have thus altered my ROW80 goals a bit. Check out the new weekly word count goal! Editing: SHARING HUNTER, young adult contemporary novel. Complete full rewrite. I’m through the first fourth of the novel. This is going slower than I wanted. However, as I’ve gotten into the revisions, I’ve found ways to make the story stronger that required more work than I expected. Given how long this is taking, I am crossing out the next two goals until the first ROW80 round in 2013. I’d rather take my time on revisions and really turn out a great book. Revise using Margie Lawson’s Deep EDITS system. Post Sunday ROW80 updates, Amaze-ing Words Wednesdays, and Deep-Fried Fridays. Posted Maylee’s Questions and #ROW80 on Sunday, Gifts for the Grammar Geek on Wednesday, and High School Halls: Dating, Young Love, and Breaking-Up with the fabulous Lydia Sharp on Friday. Write two short stories. Changing this to working on the new young adult novel. I will, however, work on the short stories during the holidays. 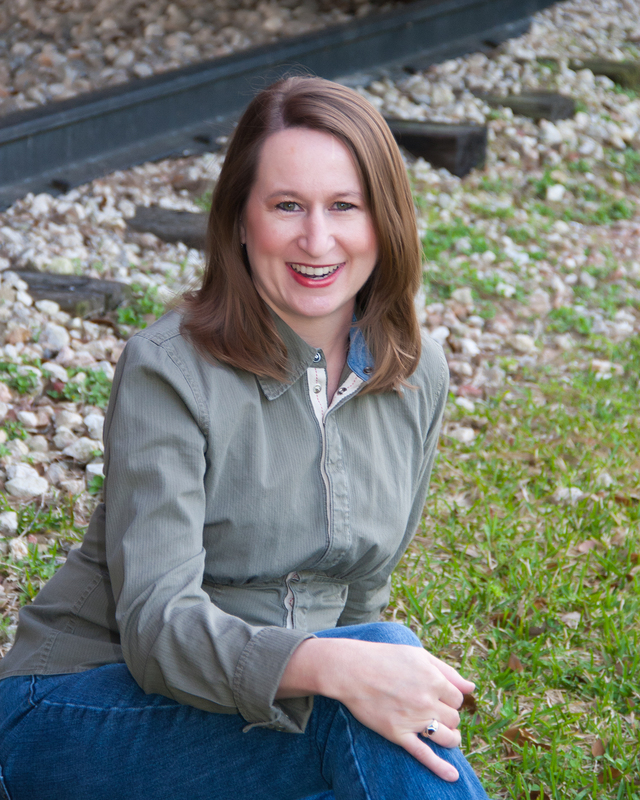 Write 3,000 words per week on young adult novel. Not sure of the working title, but it’s murder mystery with a preacher’s daughter as the protagonist. Wrote 2,592 words. Nothing special here. Just read. A lot. Reading The Baffled Beatlemaniac Caper, a mystery by Sally Carpenter. Exercise twice a week. I am still struggling with this calf muscle! Ugh. According to a former athletic trainer and current YA author (Tiffany White, Football Sweetheart), it can take 4-6 weeks to fully recover. Thanks for that info, Tiffany! So I guess I’ll just try to start walking for now. Sort through photos and complete at least one album. (I stopped scrapbooking five years ago, and it’s piled up into a big mess. Moving into digital albums.) Uploaded photos from Thanksgiving trip and organized them into an album on Shutterfly. Did you participate in NaNoWriMo? If so, how much did you get done? How are your other goals going? Keep up that momentum, and cheer on fellow ROWers (many of whom were NaNoWriMo finishers!) HERE. NaNoWriMo is an annual writing challenge for authors to start and complete a novel within the month of November, with 50,000 words counting as achieving that goal. Hosting this event requires funds. NaNoWriMo is still seeking donations to cover their expenses. Check it out HERE.